1. What markets & industries does SoftNoze serve? SoftNoze serves a very diverse customer base, spread across all industries where automation controls are used. Specifically people and companies that design, use, sell and or maintain Automation Sensors benefit from SoftNoze's Sensor Integration Components. 2. Can you name a few key applications for SoftNoze components? 3. Automation, Sensors...? Okay, but how about some pictures? 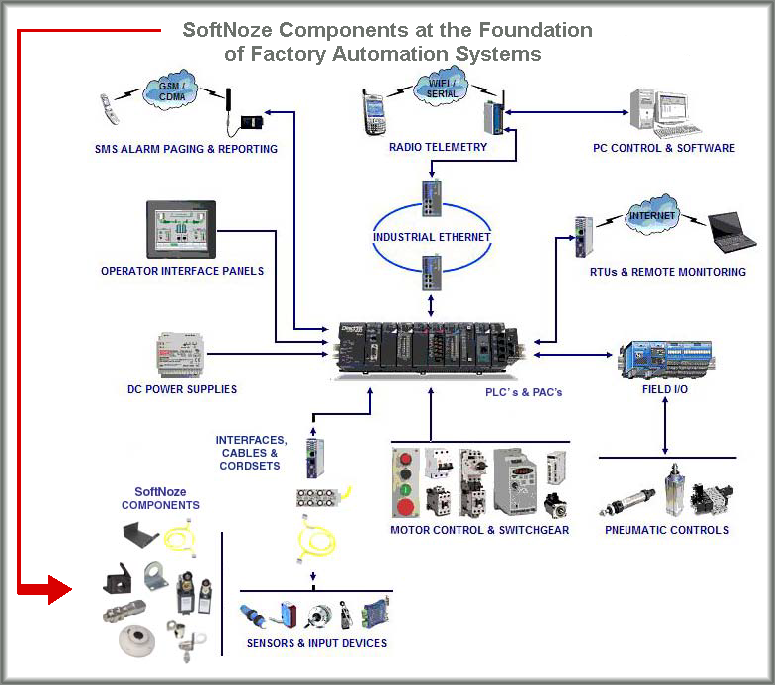 Sure, this first link offers an illustrations of where SoftNoze Components are installed within a typical Factory Automation Sensor application. You may also click the following link to view logos of the many Sensor & Switch Brands that benefit from being installed with our Components. 4. What is Factory Automation? Its described as automatically controlling the operation of an apparatus, process, or system using mechanical and electronic devices to reduce the need for human labor. Much of this machinery can be found within factories. It's here that you will see Automation Sensors in a multitude of Machinery & Equipment. 5. I'd like to know more about the markets that SoftNoze operates in, where can I learn more? 6. Who are the largest firms supplying Factory & Process Automation products and services? Here are the results from 2011, as tabulated by Control Engineering Magazine Top Global Automation Vendors. 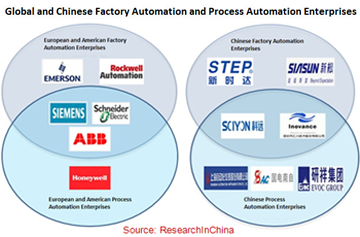 7. Who are the major Process & Factory Automation brands; globally vs. those in China? 8. Have another market-related question? Great, my name is Penny and I work in the SoftNoze Marketing Department. I would be happy to help you get the answers you require. Simply email me via the following link I'll try to make it fast too! 9. What membership-based associations surround the automation and machinery markets? There are many, please visit this page Member Association in; Manufacturing, Automation & Industrial Control Industries. Please feel free to let us know if we should add a group that you feel is missing Industry Association Listing Suggestion. 10. Can you tell me about the market opportunity, how big is the marketplace? Globally, the machinery and equipment builders within both these markets embed over $14B (USD) worth of sensors and switches in 2004. Each sensor and switch requires one or more products to Mount, Apply, Position and or Protect it; and the Sensor Integration Components that make this possible are what SoftNoze specializes in.